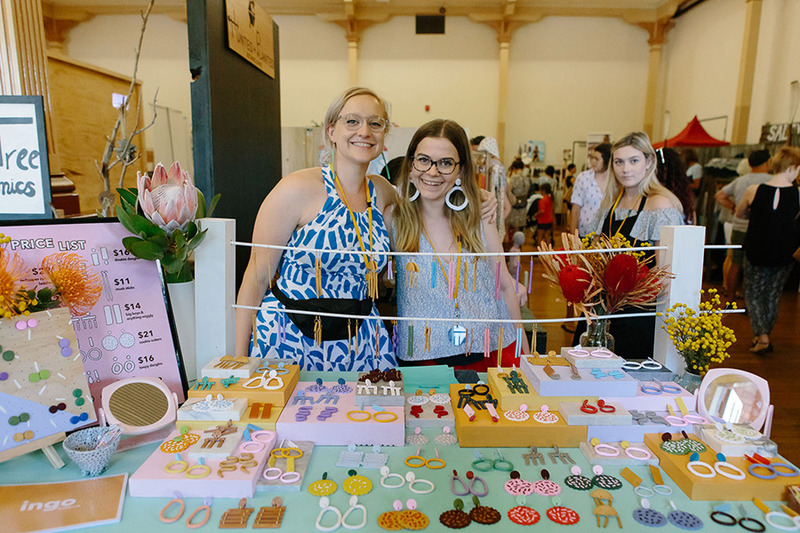 One year on since their Finders Keepers debut, Ingo are gearing up for a colossal return to our Brisbane market, back this weekend. Doors open at the new time of 5pm Friday night; we can’t wait to celebrate with you! Tell us about your journey so far and describe your label. Ingo is lovingly handmade polymer jewellery by best mates Hats and Grace. 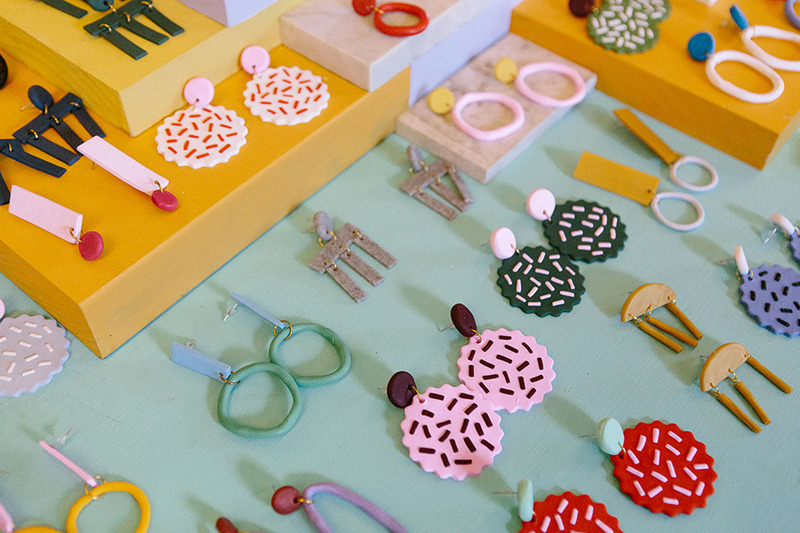 We combine bright colours with bold shapes, creating earrings inspired by the things we love. 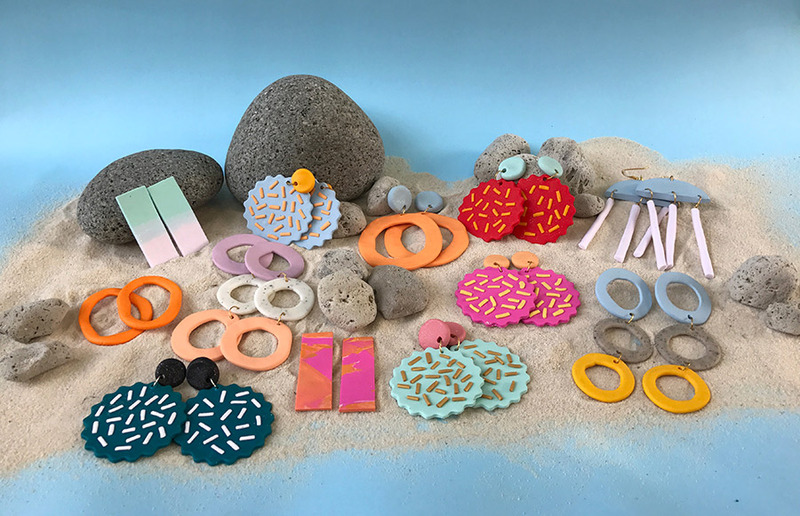 We think that everybody should be able to enjoy lovingly crafted jewellery and strive to make a product that is both beautiful and affordable. Our favourite part of the Finders Keepers markets is meeting our wonderful range of customers, who bring us so much happiness and really make the weekend! There’s something special about making connections with the people who support you so much. We applied to be stallholders for the Finders Keepers Brisbane SS16 market and we didn’t in a thousand years expect to be accepted because we had seen the calibre of the brands and stall holders at previous Finders Keepers events!! To our surprise, we were accepted. Our preparations last year were extensive because we hadn’t done a market of this size before. 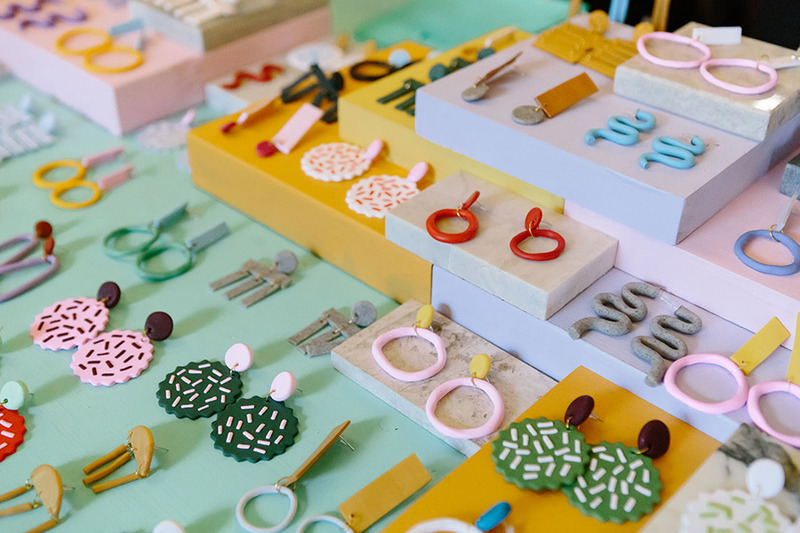 We were building our store, making earrings, thinking of packaging, branding, the works. The weekend went better than we could have hoped and it was honestly the proudest time of our Ingo careers (not joking!). Feeling a part of this fantastic community of makers is really something special. This year we want to be even bigger and better than last year! We have been prepping for months and can’t wait to show everybody what we have been working on. Talk us through a typical day in the life of Ingo. We do Ingo part time as a shared hobby. 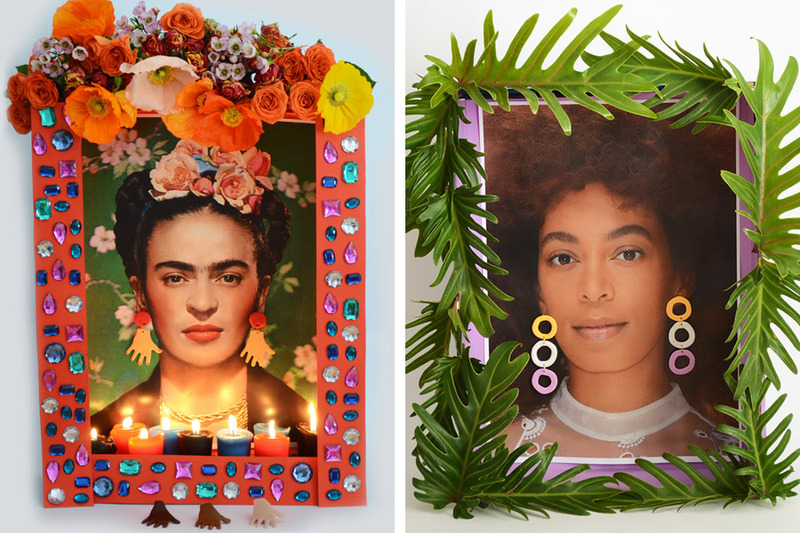 It began as a fun way to hang out and grew from there – we get so much enjoyment from working together and love meeting up to fill orders, design our collections and prepare for markets. We work from home and often take over the dining room with our bits and pieces but are very lucky to have wonderful and understanding housemates! Go above and beyond! The Finders Keepers is more than just a market. It’s important to think differently about your stall set up, your branding, and how you want to stand out amongst the other stall holders. This is the big leagues baby!!! 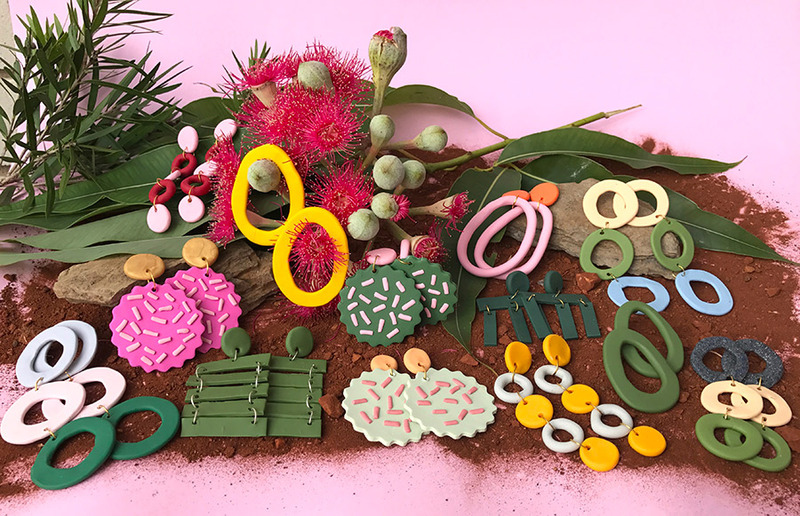 Our recent collections have been Australiana (drawing colours and shapes from our beautiful Aussie flora and fauna) and the Ladies collection, designed for 5 women we find inspiring. We are always thinking about what we can draw inspiration from for our upcoming collections and are very excited to be working on something fresh for the new year! We are both hobbyist ceramicists and are looking at expanding our brand in this way in the near future, so keep your eyes peeled because Ingo homewares are on the horizon!